Welcome to the JoyProject 40. I am Lisa, married to LAB for 11 yrs. and mom to two boys 6 and 8 who light up my life. The Joy Project began as a way to help me get "unstuck" and move past fear by focusing on Christ and fully embracing the story He has written for my life. I want to live each day with increasing joy and encourage others to do the same. I LOVE bling and reject the idea of an edit button when it comes to jewelry . I am certain that the ipod is the best invention ever and I dig spending looong days on the beach. Transformation stories make me so happy and I would love to hear yours! Over the past year of counting blessings it seems that my lens has changed significantly. I currently find myself in a very hearty season. full of grief, full of why's and full of wonder . This type of season usually sends me into a spin as I try to manage, control and orchestrate in an attempt to appear as though I have it all together when I am actually freaking out on the inside that everyone is going to KNOW that I am really an overcommitted, overemotional Hot Mess. I am learning a lot about trusting God and believing His word. I am slowly becoming more secure in who He says I am. I am learning that He is everywhere. And I am at my best when I focus on Him. I want to see and be changed. I am also finding it easier and more satisfying to express gratitude for the hard stuff and the why's? there are no easy answers to the pain and suffering. back to love and back to acceptance. His love expressed through me. Even when it is hard and the answers are few. popping up everywhere I go. thus many of our conversations have centered around God's mind blowing abilities. I have been emotionally wrestling all day. I am beginning to gain a smidge of clarity. even the hard things that I kind of wish he would do differently. I believe that He hears my prayers, that He loves me and that He is present in my life. and seriously freaks me out when I really, really think about it. I don't struggle with believing. I just get overwhelmed and a tad immobile when it comes to possibilities and I start to limit Him in my mind. And this verse keeps coming and coming and coming. And I know He wants my attention about something specific. I am guessing that it's the specific thing that keeps holding my heart back from going wild with love. He doesn't need my help. I was designed to be free. To believe, trust and follow Him. He wants to blow my mind with His grace. And that just plain scares me. Because I know what "no matter what" can look like. and it can rock your world in some pretty awesome ways. And truth be told either is pretty scary for me. And I am not always sure how I feel about falling head over heels without knowing where He will take me. And I don't know that I want to go wherever He leads. And I seem to prefer to wrestle and believe that he needs my help. and that I am somehow in control of the outcome...and that just seems safe. And I don't want to miss out on all He can do because I am believing the lie that I have to hold the rope. Freedom that finds comfort in His embrace, trusts His plan, basks in His love and craves His truth. No fear, no worry, no what if's. No matter what He presents. And I believe that this kind of freedom is possible for me. Nothing is impossible with Him. I have always been one to take matters into my own hands. I am by nature a "fixer". For most of my life when something went wrong, I looked for a solution and got busy executing it. It was instinctive and I was often unaware that I was doing it. Especially when it came to relationships. And people I love, loving each other. And people I love hurting. And I always thought that my "fixing" was a good thing. I just wanted everyone to be okay. Until I realized that I had a tendency to make myself and others crazy with it. And then there is the glaring fact that most things are not mine to fix. In an effort to experience "fixer" success, I became a therapist, which put me face to face with a lot of stuff. And in all of the me, me, me... I got real tired and real overwhelmed. And started to run. By grace, my running led me to Christ. And now I am learning to stop and trust. That joy most often comes with process. And processes are not always pretty, or short, or fun. This process of stopping has taught me to wait, experience and SEE. To not seek my own understanding. To not seek happy, safe and secure. At least by my standards. I am steadily learning to trust His process. And naturally there are bumps along the way. I have friends and family that are sick with diseases that bring continuous pain and fatigue. I want to fix that. I want healing. emotional crisis, fear and an unwillingness to forgive and let go. I sit with the kids at work and we play in the sand...the dollhouse...we paint with our toes and slay dragons. I want to make their fear go away. To pretend the bad stuff never happened. I want to take away their sadness, their anxiety, their anger. And I am helpless to do that. on invisible roadways and love on babydolls together. I so badly want it to go away. And I do my best to trust His process. And it's hard sometimes, because more often than not I am a mess. So I get it together (one more time) and press in and look up. nothing that cannot be overcome and nothing that he cannot make right. I am learning that I don't need to understand. I just need to stand surrendered. until a few years ago when I realized I did not have a lot of it. I was tired and worn out and probably even angry. I could spend time telling you why but over time I have come to understand that while so much is different about us, there is much understanding when you get right down to it. I was ready to be transformed. To lay down the bags that I had carried for so long and experience JOY. So I started a little project. And in the starting, I learned to STOP. To be still. And surrender to a truth that had long escaped me. That He is God and I am not. 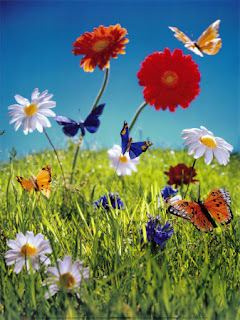 And my getting out of my own way and the ways of others, made a path towards joy. It opened doors for me that I would have breezed right past on my own. It showed me that grace is so much better than being right and that love is harder than I thought. It convicted me that his will is worth waiting for and better than what I would choose for myself. It also showed me that loving God doesn't prevent bad stuff from happening. And that is where Joy has surprised me. Because the bad stuff kept me from surrendering and sometimes it still can. The bad stuff can exasperate me. And He tells us to count all as joy. And that is so hard sometimes. Because sometimes I just want it to stop. I don't want to hear about another child dying, another parent with cancer, another family terrified by their finances, another marriage on the rocks, another believer disappointed by the church, another friendship betrayed, another child abused, rejected, fearful. But I know He is there. That I am not alone. Our circumstances most often point us to Him, if we can just let go of ourselves and hold fast to Him. That is how we begin to know joy in every circumstance, even when it has us on our knees, tears falling and begging for something different. Joy lives in Him. He is always holding us. He is my portion. He is my joy. 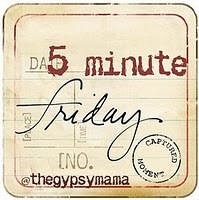 I am using the prompt "rest" from 5 minute Friday but this post was absolutely not written in 5 minutes. I was a little overwhelmed by the prompt and decided to just write today in hopes that this post will help me rest. glimpse of her at the office door and I knew. The knowing took my breath away. Tears streamed hot. Her work was done. When we first met it was questionable who needed who most. I was a 20 year old mess who was so lost that I was looking for anything that might help me escape. She had been abandoned in the woods and rescued. She fit in the palm of my hand and seemed so fragile. I fell in love with her the minute I saw her. She hid in my closet for weeks and when she came out she was fierce. Brave and wild and fun and beautiful. A Siamese with big blue eyes. It is crazy how much you can love an animal. Almost every person I have known for the last 19 years knew Jewels. It was as though she was a thread that ran through every experience. I wrote short stories in college about her. I have always used her as a character in my work with children. She was so pretty that she seemed to command attention without even trying. the best reputation for being easy to get along with. And there was something about that, that made so many smile...often in hindsight. In the early years, she would just as soon bite you as look at you. If you played with her, you would have the battle wounds to show it. later rear her ears back and hiss so loudly that it would make you jump. But she always saved the best for me. that seemed all the more special given her tendencies. we were cooking up something amazing. As cute as her "egg hatching" was, I worried how she would treat the babies when they arrived. But motherhood seemed to chill her out and her mama instincts kicked right in. She thought that both of her boys hung the moon and she took over their rooms when they arrived. 19 years....a husband, two boys and so much else later, Jewels somehow got old. And it was hard for me to see. And perhaps it was hard because I had gotten 19 years older too. And I just cannot believe that much time has passed. For the last year, we have done all we could to make her comfortable. Our neighbors on both sides, have cared for her when she would wind up at their doors and they loved on her up with ear rubs and fresh water. Everyone kept making observations and I continually reassured myself that I would know. That she would tell me. When I saw her at the door Monday night I knew. My sweet girl needed rest. She had fought the good fight. I wrapped her in my first born's baby blanket and my mom drove us to the vet. As we rode, she reached a paw up to my face and seemed to wipe my tears as we drove. It is so much easier to rest when you have loved deeply and been deeply loved. Shadows lurk deep at my core. Cold, lonely, dark and musty places that evade light and cringe at the possibility of exposure. Shadows were my favorite friends for a long time. I considered it polite to be and I just couldn't bear the thought of you knowing THAT. and explained my desire to live a life of congruence. For my words, my actions, my beliefs and thoughts to align. No more peeling back my layers in an effort to justify my actions. not measuring up to who I thought they should be. would lead me to a full blown collision with Christ. But He knew...God is funny like that. It has been messy, scary, doubt-filled, confusing, intimidating, lonely, disagreeable and oh-so very imperfect. And some seem to go away...only to return when I least expect it. And sometimes the shadows fight for my attention and I want to feel the coolness and get lost in the dark. or choose to see the best in another. Sometimes I can be really ugly. I don't want that to be true...but it is. I am after the kind of transformation that requires radical transparency. The kind of radical transparency that knows nothing of shadows and hiding. The kind that requires a willingness to dig deep. And to not just revel in the pretty parts of my relationship with Christ but to shine a light on the ugliness and trust in a love that can sustain my pain and bring redemption. Salvation did not make me perfect and it never will. But I need a Savior. I was a wreck without Him. And today I stand here in the light, radically transparent for all of you to see. I used to believe in a different kind of new. The kind of new where new shoes, new clothes, a new house, being somewhere new, anything new would make everything better. That kind of new creates a scary, lonely cycle. And I don't believe in that kind of new anymore. Each day we face the prospect of something new. And while something new can bring celebration, it can also shake us to our core and make us ask why. Safety beckons and new presents a risky challenge. New calls us to walk on the edge. To be present, alive, courageous, open because we do not know what He has in store. Our senses are heightened and our lives become alive in the new. and not just engage in the pretty and controlled. how angry it makes us, how scary it is, how vulnerable we feel. I long for transformation and freedom.